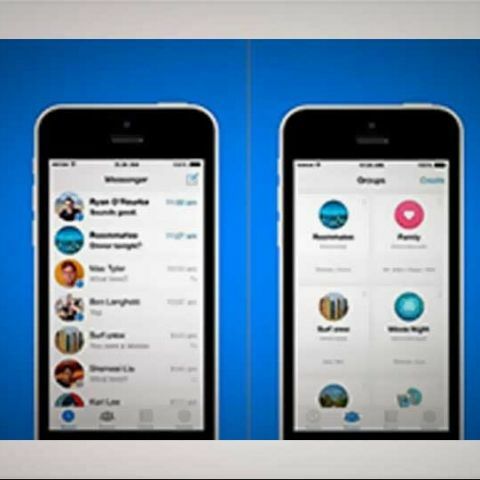 Facebook Messenger 4.0 adds groups and forwarding features. Facebook has rolled out version 4.0 for iOS, which focuses primarily on group chat options as well as some message forwarding tweaks. Users can upgrade the app for free from the iPhone App Store. The version 4.0 adds the ability to create and manage groups of contacts within the app. The update brings the ability to find all of your groups in a new tab and quickly select one to send a message to everyone at once. You can also create new groups for the people you send messages to most frequently. Just click on the new group tab, name and select a group picture and select the group members. You can also pin groups to access them easily. Apart from this the update brings the usual bug fixes and improvements. The app is meant for iPhone, iPad and iPod touch with iOS 6.0 or higher. Facebook had rolled out an update for its Android app earlier this month, adding the ability to delete or edit albums, untag as well as comment on photos. The features were already available for iOS and desktop users. The social networking giant recently revealed that its has over 1 Billion active users on mobile and 200 million user on Instagram.